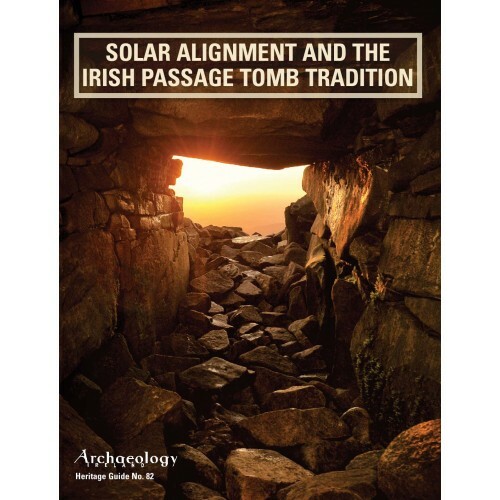 A succinct and very useful, illustrated, explanatory guide to the phenomenon of solar alignment in the Irish Passage Tomb tradition. Includes a listing of where to visit the 15 known astronomically aligned passage tombs in the 32 counties. Written By Dr Frank Prendergast who is now Emeritus at the Dublin Institute of Technology, where he researches Irish prehistoric monuments and their landscapes from a cultural astronomy perspective. His current interests and publications are on the meaning of the dark sky in the prehistoric past and on the conservation of archaeological landscapes from light pollution. Heritage Guides are included free with Archaeology Ireland subscriptions.